Cardamon? Cardamom? I’ve always been a cardamon kinda girl, but I get that crooked red line every time I type it that way. How do you spell it? 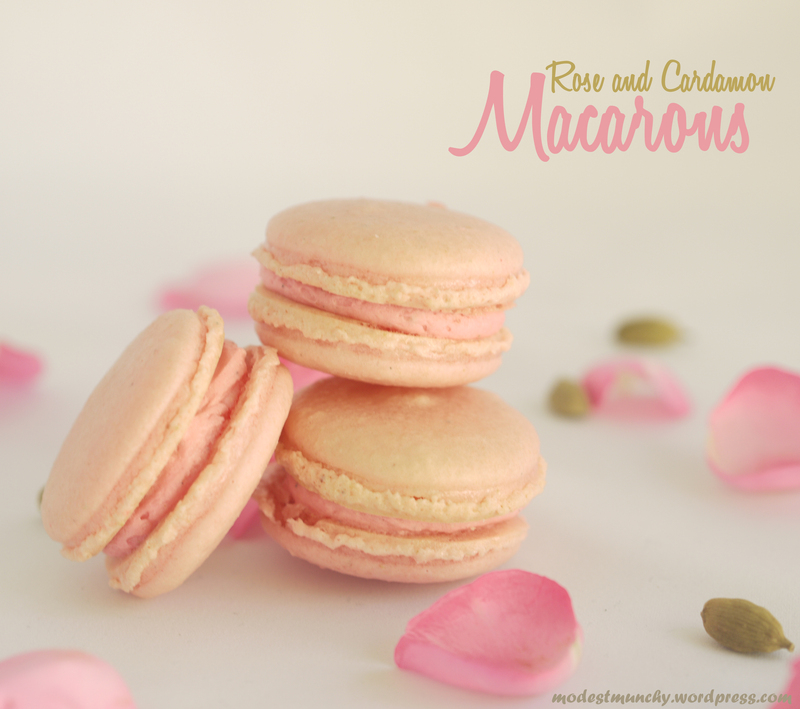 Doesn’t matter I guess, these rose and cardamon macarons are good! These macarons were from this Eid Dessert Table post. I made them using the Italian meringue method (will be uploading a recipe). But for now, here’s the recipe for the filling. Beat butter till soft and creamy, add icing sugar and beat till smooth. Add syrup and cardamon and beat till well combined. Fill into a piping bag and fill macarons. 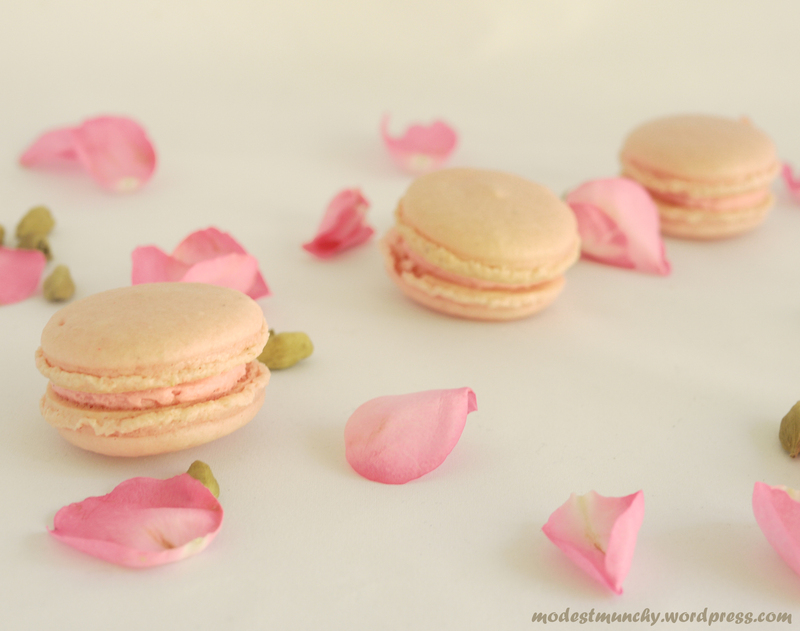 Fragrant and flavoursome these rose and cardamon macarons are a treat fit for any time of the year. These are so beautiful! I haven’t been brave enough to try macarons yet…one day!